Imagine walking into your boss’s office and having to explain why your customers’ data ended up in the wrong hands because you made a bad choice in getting rid of your computers. Picture the look on your CEO’s face when a pile of used electronics that came from your stores somehow ended up in an unregulated waste dump and is being disassembled and melted down by children. Sounds scary and maybe a bit beyond the realm of possibility, but these are real scenarios that can happen more easily than you can imagine. It’s a well-established fact that e-waste is the fastest growing waste stream on the planet. And, because our computers, mobile devices, TV’s and other assorted devices contain valuable material, the temptation to extract that value at any environmental and human cost is considerable. It’s a main driver behind an amazing amount of growth in the electronics recycling industry that has given rise to new recycling companies, attractive trade-in programs and a thriving market in used electronics. Unfortunately, it’s also increased the opportunity to do it all wrong, at considerable costs to the environment, society and your company’s reputation. The list of companies that will recycle your equipment may seem endless. In reality, the number of companies you should consider working with is relatively small. Most importantly, never, ever, ever recycle your electronics with a company that isn’t certified by either R2 Solutions or e-Stewards — or both. Both standards will ensure that the environment and your data privacy will receive the highest levels of protection. Moreover, the certifications require downstream accountability, which ensures that your equipment will be in the right hands throughout the disposition process. 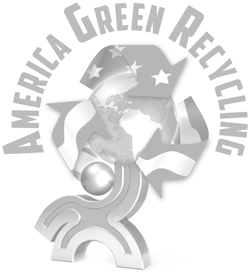 Avoid the temptation of working with companies that promise to work with certified recyclers somewhere down the line. Your safest route is to work directly with the recycler that has the certifications and can prove it at a moment’s notice. My father was fond of saying, “You can’t afford cheap furniture.” The same holds true for electronics recycling. “Free” recycling services are popping up like mushrooms in an Oregon rainforest. The reality is that responsible recycling isn’t cheap. Additionally, some of your equipment has enough value that at times your recycler should be paying you, rather than the other way around. Using a “free” program presents two competing risks for your company. One is the temptation to cut corners by not using certified recyclers or simply moving your inventory to the highest bidder. Either scenario creates a risk that your equipment will end up in the wrong hands, possibly resulting in data breaches and environmental degradation. The other risk is financial — a “free” service makes it less likely you’ll get full value for your equipment. If you follow Rule No.1 and get to know your recycler, you’ll be able to sleep at night knowing you haven’t created a reputational risk for yourself and your company and you will get every ounce of value you deserve. Follow these three rules and you’ll be able to sleep at night knowing both that the environment is being protected and your data is secure and the next time your boss calls, they may be calling to give you a raise.